Today is a special edition of Jump into a Book. We are happily celebrating International Day of the Girl. In honor of the occasion we’ve compiled a list of some of our best books and activities for you to dive into and celebrate girl power. The world seems more tuned in to the intention of tolerance, bravery, kindness, inclusion, understanding and courage these days. And I am incredibly glad they are. I love our young women and girls rising up, pulling together and “going high” when others “go low.” I love seeing females actively working to build a bridge of compassion and love to push back the negative feelings and actions of those who think it is OK to persecute others for being who they are. These are just a few of the many reasons I am excited to share tools, books and resources for International Day of the Girl. “There are 1.1 billion girls in the world, and every one of them deserves equal opportunities for a better future. They are a source of energy, power and creativity. They can drive change and help build a better future for all. Yet, most girls face disadvantage and discrimination on a daily basis, and those living through crises are suffering even more. On the International Day of the Girl Child, let us commit to investing in skills training and education for girls and livelihood activities for young women around the world who are facing crises. Below are list of books who have brave, courageous, and enduring character. Out of their sheer will they beat the odds to survive, make a difference, and benefit their entire community. Today lets celebrate girls everywhere by raising our voices and sharing #dayofthegirl. Wangari Maathai is one of my favorite people. The first time I discovered her was through this beautiful picture book called Mama Miti. Since then I’ve had the occasion to read about her several times, follow her Nobel Peace Prize award, and watch her green movement progress. Earlier this year I wrote a review of another book entitled Wangari Maathai by Franck Prevost for Women’s History month. To her people she is known as Mother of the Trees. However you come to know Wangari Maathai, I’m quite certain that you will be inspired by her story and determination to save her country. Margarita Engle’s new book Drum Dream Girl: How One Girl’s Courage Changed Music is an inspiring story based on true events. Girl’s didn’t drum. That’s just the way things were in Cuba. Men were meant to be drummers. But then one little Drum Dream Girl decided to change all that. She lived, breathed, and dreamed drumming. Her fingers would start tapping beats without her even realizing it. Little Drum Dream Girl was meant to be a drummer. But no one would listen to her. They just told her that drumming was for men. 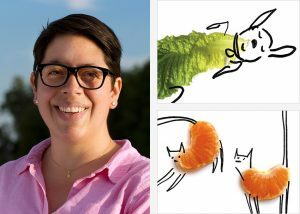 Wilma Rudolf and The Quickest Kid in Clarksville written by Pat Zietlow Miller and illustrated by Coretta Scott King winner Frank Morrison, is a charming story about wanting to be the fastest kid in Clarksville. It’s also about determination, dreams, and the friends we meet along the way. For the Right to Learn tells the story to young readers in a non-violent way that engages them into constructive conversations and inspires them to take action. Read the review in its entirety HERE and learn more about the sad truth behind the fact that 60 million girls worldwide are unable to get a school education. The Girl with a Brave Heart: A Tale from Tehran by Rita Jahanforuz is a traditional tale about a kind, wise Persian girl named Shiraz. As a baby, Shiraz’s mother died, and her father soon remarried, giving her a new mother and a sister to grow up with. But when her father died, everything changed. Shiraz’s stepmother forced her to do the household chores, and she grew apart from her sister, Monir. Read my full review of this book here. Three Unmissable Books That Can Help Us Honor Our Past from Pacific Citizen | The National Newspaper of the JACL. 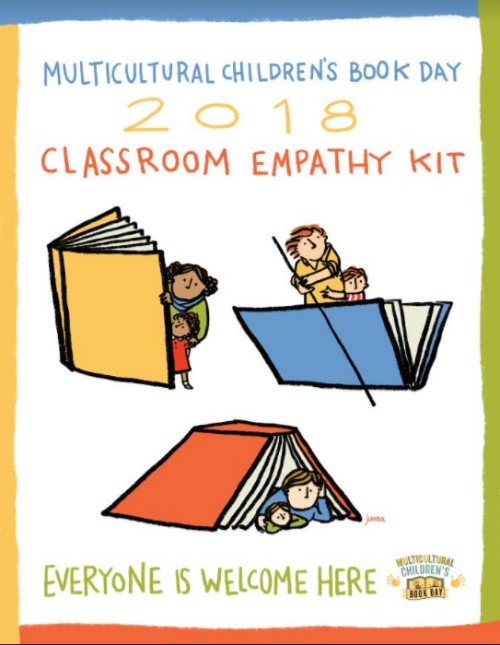 Multicultural Children’s Book Day Classroom kit which teaches Empathy. As our fifth Multicultural Children’s Book Day holiday approaches on January 27, 2018, we are thrilled to have you as part of our amazing community of supporters! With enthusiasm, optimism and hope, we are preparing for MCBD 2018 and hope you will, again, join our celebration of diversity through children’s books. Thank you for cultivating understanding, kindness, inclusion and exploration of this beautiful world in your classroom.